RightStudent - Recruit the Right Students.Right now! RightStudent is your online, real-time solution to recruitment. With a built-in audience that is engaged and responsive, you will be able to connect with prospects directly, online or using social, mobile, and cloud technologies. Built for the social and mobile era, RightStudent enables you to connect in a meaningful way, reaching students who most ideally fit your school and who will matriculate and thrive on your campus. 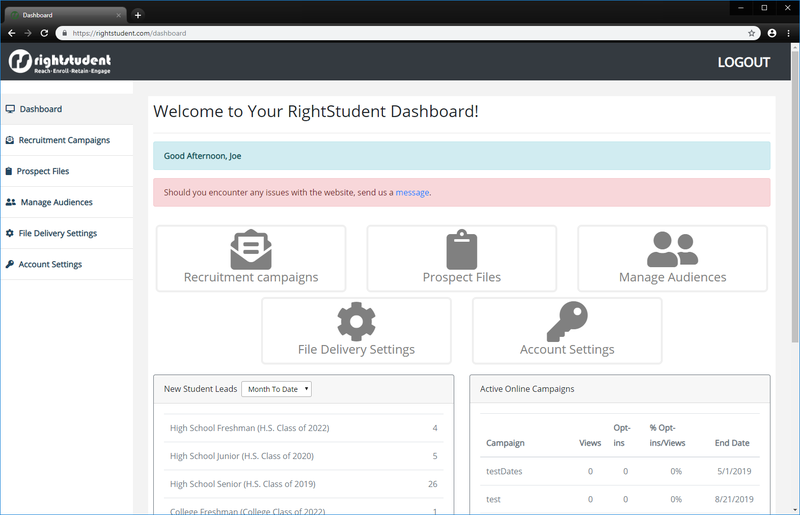 RightStudent is just what you need for recruiting, student success, advancement, marketing, and community engagement. It doesn't cost you anything to learn more about RightStudent; In fact, we will offer a 30-day trial – free of charge and obligation – so you have absolutely nothing to lose. Student prospect lead volume is fine, but we can also take the work out of it and provide quality leads that result in deposits. 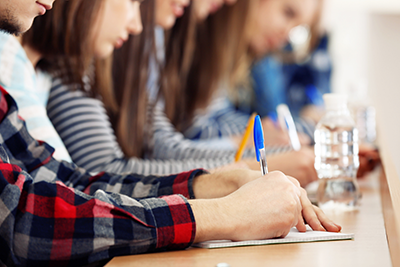 RightStudent offers better engagement and mutual satisfaction, offering what we like to call the "Win, win, win" – As far as we are concerned, that's the only acceptable outcome. By using RightStudent, your productivity will go through the roof and your counselors and prospects will have more time to explore all the great opportunities at your institution. You will have access to the kind of data and insight that will save you and your admissions officers time and energy, making the entire recruitment process easier and more pleasant for all involved. It isn't just about getting students in seats anymore – it is critical to get the right students on your campus and in your classrooms. RightStudent will provide you with the comprehensive student profile that you need in order to accomplish this, ensuring satisfaction on both sides of the student/college relationship. We empower our clients by offering the ability to find new and review existing prospects anytime, anywhere. Whether you are in your office or on the road, you have access to the information you need to recruit the students you want. Whatever your initiatives may be; whether you are trying to attract more female students for your STEM courses or school or just trying to add gender and/or racial diversity in general – with RightStudent you can engage and recruit whatever type of student you need and interact with personalized communications that speak directly to the students you seek. Student Experience Is Key Speak to your audience directly and specifically. Sometimes its all about knowing their language and how best to engage the student you desire for your campus. offers the ability to speak to your audience directly and specifically by refining your audience to a very granular level and further ensuring you have the right message for them. We offer all the tools you need to message your student prospects utilizing both the appropriate message and optimal timing, giving you the best chance for success. You can even perform variable content testing, using multiple options to determine which version of your message provides the best results! There is virtually no limit to what you can accomplish with the proper tools and RightStudent was custom built to ensure you have them. Call or email us today to arrange a free demonstration and 30 day trial. RightStudent has played a key role in helping the University of Jamestown attract highly qualified first year and transfer students. RightStudent has helped get our small, private, liberal arts institution in front of thousands of potential students that meet our specific academic and co-curricular targets. The customer service that we have received has been tremendous and I highly recommend this service to any enrollment manager looking to expand or improve their qualified prospect pool." "Working with RightStudent has been a pleasure. They have always contributed time and effort into ensuring that we had exactly what we wanted submitted on the site. Any questions that we had were immediately handled. From a customer service stance, they have been fantastic and I really appreciate all of the help that they have given me in the process of managing our online and email campaigns." "RightStudent has significantly increased our student prospect leads over the last year – leads generated have been double that of other search services at a fraction of the cost! We’ve just completed our first year using RightStudent and are excited to see enrollment yield results as compared to other search services. Additionally, our account manager has provided exemplary service and support, customizing a number of campaigns with messaging, technical assistance and targeting. At the University of Wyoming, we couldn’t be more pleased with RightStudent’s services." "As social media coordinator, I was intrigued by RightStudent and was pleased to hear from my account manager, who immediately reached out and offered a free demo. She was incredibly patient and flexible in coordinating a demo so that we could learn what RightStudent was all about, even offering to set campaigns up for me. RightStudent definitely gave us access to a broad range of students." "Working with RightStudent was easy! The staff makes the process effortless and the system is designed to help colleges and universities target the right audience for their institution. This is a great tool for targeting students and we saw a good return from our campaign." "For me, the biggest thing that sets RightStudent apart is its customer service. The employees I interacted with were kind, knowledgeable, and eager to improve their product. When I needed help defining my target audience or building an online campaign, someone from RightStudent was there to help. It’s refreshing to receive personalized customer service from a website that services so many." "In the midst of myriad vendors claiming to offer technology “solutions” to increase enrollment, the RightStudent team distinguishes itself by remembering that ours is a student-driven business. They offer a powerful combination of strategy, technology and customer service that creates results. They are an extremely important component of our recruiting strategy." "RightStudent has been one of our most valuable resources in engaging with prospective students. This year, we have been able to trace multiple deposited students directly back to RightStudent as their first contact with IWU. We had signed with RightStudent on a one-year ‘evaluation’ period just to see how they would fit within our recruiting strategy – well, after meeting and exceeding our expectations this year, we look forward to many more years of partnering with RightStudent!" "I found RightStudent really user-friendly and easy to customize, which is really important for us. Our rep was great and always available for consultation – she was very good at explaining the functions of RightStudent and flexible to help me achieve my goals for the site." "I have been extremely pleased with the responsiveness of RightStudent. The data is easy to load into our data base and received frequently. I have worked with our account manager, who is pleasant to work with and enthusiastic about assisting us with our specific recruitment efforts. We are in our first year of using this tool and already have deposits from students who our first contact was RightStudent!" "RightStudent has been a great source for us to connect with quality prospective students! We can personalize our campaigns to make sure we’re reaching students that have common interests in what we offer at DSU. The customer service has also been great: They are always keeping us up on the latest web changes and are always good in assisting us in best utilizing our campaigns to best market our school." "As the Director of Social Media and Online Initiatives, RightStudent has helped me with a lot of Marist’s outreach and enrollment marketing. Hands down their best quality as a company is their customer service: We have regular phone calls, meeting throughout the year to discuss strategies to better utilize their technology. It is clear they want the partnership to be successful and go out of their way to make sure our needs are met. I am looking forward to another year together!" 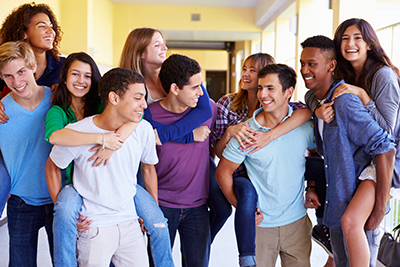 "To say I am pleased with the service that RightStudent has provided would be an understatement. This service is easy to use, customizable and affordable. RightStudent offers exceptional customer service that has gone above and beyond my expectations. The service has played an active role in helping us not only meet enrollment goals but exceed them. It is without hesitation that I recommend the use of RightStudent." "Partnering with RightStudent has proved to be incredibly beneficial for Texas Tech University. 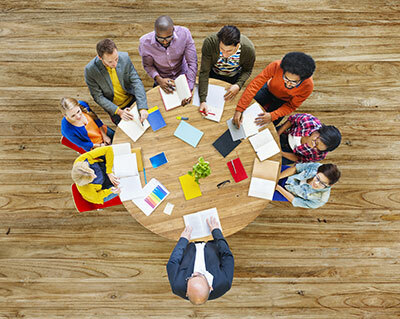 The team is very responsive to requests and devotes time to develop recruitment strategies. Our investment has more than paid off and we are looking forward to a very successful recruitment year!" "In an industry that focuses on meeting needs and exceeding expectations, RightStudent knows what is important to universities: students. The ease of use, customization of campaigns and customer service makes communicating the right message at the right time worry-free. Working with RightStudent has reduced my anxiety about utilizing ‘another student search site’ and has increased our institution's reach."